KVR Price: $20.40; Save $13.60! 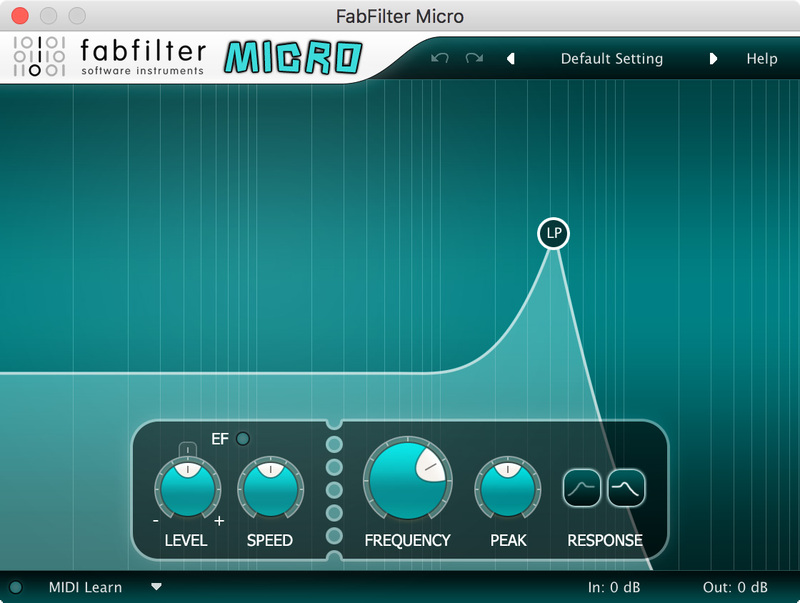 FabFilter Micro is a lightweight filter plug-in that makes the classic FabFilter sound more affordable than ever. Featuring the classic filter first developed for the FabFilter One synthesizer with low-pass and high-pass filter shapes, FabFilter Micro has a smooth and creamy sound that will turn into "raw self-oscillating madness" at a flick of the Peak knob. Yet even at full resonance, the filter always maintains an analog-like balance, happily saturating and clipping the incoming sound without exhibiting the digital artifacts and impurities that most other filters suffer from. Naturally, FabFilter Micro contains all those FabFilter goodies that you've come to expect: perfectly fine-tuned knobs and controllers, interactive MIDI Learn, undo/redo and A/B switch, Smart Parameter Interpolation for smooth parameter transitions, an extensive help file with interactive help hints, sample accurate automation, and AltiVec and SSE optimization. Delay by SaschArt$45.00In My Cart! XR.A.M.S.E.S.